Mara has been having so much fun at her school so far this year. She just loves it. And they do so many fun things to make it so easy to love. 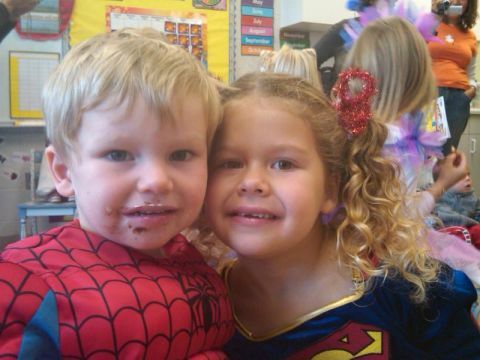 Like this week, on Thursday, they had a little Halloween party. They were nice enough to let siblings come in as well if they could. Campbell got a kick out of that. He stopped in at the end of the day for lunch and hung out. Now when he goes by the church he says “Mara’s school!” and tells us how much he likes it. Mara has made some new friends already and is always excited to go off for the day.